The Agency accepts household hazardous materials inside the Resource Recovery building at 1954 County Home Road, Marion, Iowa. No appointment is necessary for residents to drop off household hazardous materials. Businesses may be eligible for the Very Small Quantity Generator (VSQG) program. 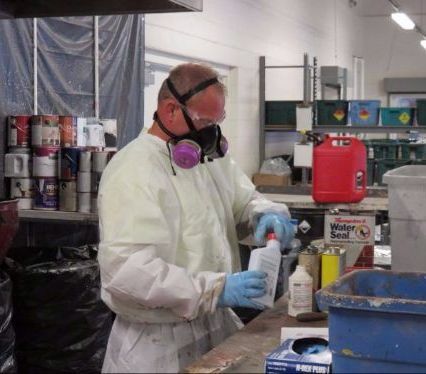 The VSQG program offers an affordable way for eligible Linn County businesses to properly dispose of hazardous materials. The Free Paint, Cleaners, Etc. room, located inside the Resource Recovery building at 1954 County Home Road, Marion, Iowa contains many household products for re-use. Products that meet standards and can be re-used are placed inside the Free Paint, Cleaners, Etc. room for residents of Linn County to take home for FREE!